Inspired by one of the tracks at the fantastic EdgeConf London 2015, I realised that the term Progressive Enhancement has become confused and ill-defined. Over the next few articles, I’ll be looking back at the evolution of HTML and relevant related technologies and protocols, hoping to arm developers interested in the concept of progressive enhancement with an understanding of the origins of the term and the reason for its existence. This should give you a pause for thought when you need to have a discussion about what lovely shiny new tech to use in your next project. To really get an appreciation of why progressive enhancement exists, let’s take a journey back in time..
It’s the 90s. 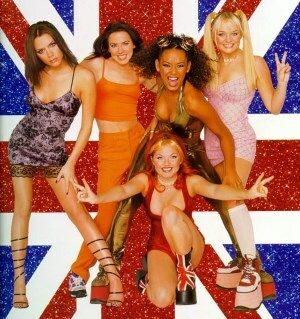 The Spice Girls ruled the Earth before eventually being destroyed by BritPop. HTML wasn’t even standardised. Imagine that for a second; different browsers (of which there were very few) implemented some of their own tags. There was no W3C to help out, only a first draft of a possible standard from Tim Berners-Lee whilst he worked this world wide web concept at CERN. Ignore how unstandardised HTML was for a moment; even the underlying protocol for the internet wasn’t fully agreed yet. There was a small-scale Betamax-VHS battle between protocols for suitability of the future of the internet: HTTP vs Gopher. We all know what HyperText Transfer Protocol is; clients, servers, sessions, verbs, requests, responses, headers, bodies – oh my! Hit a server on port 80, execute request using headers and a verb, get a response with headers and body. But don’t forget we’re talking about the 90s here; HTTP 1.0 was proposed in 1996, but HTTP 1.1 – the version that is only just being replaced by HTTP2 – was not even standardised until 1999, and has been barely changed for over 15 years. The Gopher protocol is very interesting; it’s heavily based on a menu structure for accessing documents intended to feel like navigating a file system. Hit a server on port 70, get an empty response, send a new line, get a listing back containing titles of documents or directories and magic strings that represent them, client sends back one of these magic strings, server sends that directory listing or document. This was probably a more suitable match to the requirements of the early web; i.e., groups of documents and listings being requested and searched. Gopher was released around 1991 but only stuck around for a few years, due to murmurs around licencing which put people off using it for fear of being charged. How would you ensure your content is available cross-browser if some browsers support different protocols? Which protocol would you choose? Would you try to implement content on multiple protocols? Up until the early-mid 1990s we had browsers which worked on a basic definition of what HTML looked like at the time, and also Gopher. Browsers at this time generally supported both HTTP and Gopher, up until IE6 and FF 3.6 ish; although there are a selection of browsers that still support Gopher, such as Classica (a fork of Mozilla for Mac), Galeon (GNOME browser based on Gecko), K-Meleon (basically Galeon for Windows), and OmniWeb (for Mac, from the team that bought you OmniGraffle). There was an attempt to standardize HTML with Sir Tim Berners-Lee (one of the inventors of the modern internet – he was not yet Sir at the time though..) putting out a draft of version 1 of the Hypertext Markup Lanauge (yeah, that’s what it stands for – had you forgotten?). It didn’t really get solidified quickly enough though; the damage was already being done! Now we’re getting towards the mid 90s; a new draft for standardizing HTML came out and actually got traction; the main browsers of the time mostly implemented HTML 2.0. During the following few years browsers gradually evolve. HTML 2.0 isn’t able to define the sort of world they’re now able to create for users, however it’s still several years before the next version of HTML has a draft defined, and the browser vendors are getting both restless and innovative. As such, they start to support their own elements and attributes. This is the start of the problem we’ve had to face for the next couple of decades; by the time HTML 3.2 has been defined, the browsers have left the beaten path to implement strange new functionality. Thought iFrame was a standard? Nope; IE only. Firefox instead had the ill-fated ILayer and Layer. HTML 3.2 had to include some of the tags from some of the browsers and define them as standard. Obviously, the browser vendors didn’t implement all of their competitor’s tags whether they were defined in an HTML draft or not. Nor did they stop using their bespoke tags. We’ll pick the impact of this up a bit later. As we get to the mid-late 90s we can see a deluge of mobile devices starting to enter the market and the types of device vary massively from continent to continent. These start off as calls and texts only, before supporting some form of more complex data transfer once the networks could support it. These small(-ish) devices could now access the internet, but they were limited by processing power, memory, storage, screen size, screen capabilities (colour, for example, and lack of fonts), input method, and bandwidth to name but a few. As such, the current HTML 3.2 couldn’t be supported, so smart people did clever things. Two of the main solutions to appear were WML (influenced by HDML Handheld Device Markup Language) and iHTML (which was borne of C-HTML – Compact-HTML). WML is similar to HTML but not a subset, as it contained concepts not required by HTML 3.2 devices; iHTML/C-HTML however, is a subset of HTML. Wireless Markup Language and the Wireless Application Protocol were fascinating; many many years ago I created an executive recruitment website’s patented WAP site with end to end job posting, searching, application, confirmation, etc – all from a WAP device. WML looks like a mixture of XML and HTML; everything is in a WML document (the deck) and the contents of each document are split into one or more cards. Each card (or maybe deck) had a limited size, else your content would be truncated by the device’s lack of memory or processing power (I remember having to try to intelligently chop content before reaching 1000 chars across cards); this was important when attempting to port content across from an HTML site to a WML site. Only one card is displayed at a time on the device, and navigation between them would be via the device’s left and right arrow keys, or similar. Now will you take the <a href="#red">red</a> pill or the <a href="#blue">blue</a> pill? You can see how it looks like a combination of XML with HTML interspersed. Unfortunately, WAP was sllooowww – you had decks of cards to hide just how slow it was; once you navigated outside of a deck you were pretty much using dial-up to load the next deck. Whilst Europe and the U.S. were working with WML, right at the end of the 1990s Japan’s NTT DoCoMo mobile network operator defined a new mobile HTML; a specific flavour of C-HTML (Compact HTML) which was generally referred to as “i-mode” but also responded to the names “i-HTML”, “i-mode-HTML”, “iHTML”, and Jeff. Since this was defined by a network operator, they also had a slightly customised protocol to enable i-mode to work as well as it possibly could on their network. One of the possible reasons i-mode didn’t make it big outside of Japan could be due to the networks elsewhere in the world simply not being good enough at the time, such that weird gateways had to convert traffic to work over WAP. Yuk; without the concept of decks and cards for local content navigation, this meant that every click would effectively dial up and request a new page. i-mode didn’t have the limitations of WML and WAP, and was implemented in such a way that you pressed one button on a handset to access the i-mode home screen and from there could access the official, vetted, commercial i-mode sites without typing in a single http://. Sure, if you really wanted to, you could type in a URL, but a lot of the phones in Japan at the time had barcode readers which means that QR codes were used for i-mode website distribution, and QR codes still remain commonplace thanks to this. Think about this for a second; the biggest and most powerful mobile network operator in Japan defined a subset of HTML which all of their user’s phones would support, and had a proprietary protocol to ensure it was a snug fit. All of this was achieved by a team within DoCoMo led by the quite incredible Mari Mastunaga, whom Fortune Magazine selected as one of the most powerful women in business in Japan at the time – think about that for a moment: one of the most powerful women in business, in I.T., in Japan, in 1999. Seriously impressive achievement. Let’s pause here for now and take stock of the what was happening in terms of web development in the 90s. If you wanted to have a site that worked across multiple devices and multiple browsers, you needed to think about: proprietary elements and attributes outside of HTML 3.2; users with browsers on HTML 2; users on WML; users on i-mode C-HTML; and that’s to name but a few concerns. But that wouldn’t help you test across operating systems; don’t forget that IE had a Mac version for a few years. Ouch. You needed emulators up the wazoo; Nokia had a great WAP one, and if you could fight through the text-heavy Japanese sites you could find some i-mode emulators too. Progressive Enhancement at the time was less about coding for the lowest common denominator, but using a serious amount of hacky user-agent sniffing to send custom versions of pages to the device; in some cases this would mean reformatting the contents of a page completely via a proxy or similar (e.g., for WML). You may think this is all way in the past, and if you do unfortunately you’re living in a tech bubble; sure, you have good wifi, a reliable connection, a decent phone, an up to date laptop with the newest operating system, etc, etc. Even now i-mode is huge in Japan; if you’re not on iPhone, chances are you’re on i-mode (or something similar, like Softbank Mobile) and have to think about the current i-mode implementation (yes, they’re still making i-mode phones); Facebook recently had issues with their mobile site going awry thanks to how i-mode handles padding on certain cells if you’re sending over standard HTML. If you have an audience in China, remember how many Windows XP IE7 (IE8 if you’re lucky) users are there. Expecting anyone from Burma? Your site better work damn well on Opera Mini as well. And don’t even get me started on Blackberrys. We move into the next decade and look at what the 2000s had in store for HTML and the web. ← EdgeConf 2015 – provoking thoughts. Lovely article Robin – brought back some memories! Great post. I can’t imagine a world without standardized HTML.